“1. The Defence of Mr Saleh Mohammed Jerbo Jamus (“Defence”) hereby notifies the Trial Chamber, with great sadness, that it received the news yesterday, 20 April 2013, that Mr Jerbo died in North Darfur, Sudan on the afternoon of 19 April 2013, and was buried the same day. Mr Jerbo, along with co-accused Mr Abdallah Banda Abakaer Nourain (“Banda”), faced charges of three counts of war crimes, including violence to life; intentionally directing attacks against personnel, installations, material units or vehicles involved in a peacekeeping mission; and pillaging. The crimes were allegedly committed during an attack carried out on 29 September 2007, against the African Union Mission in Sudan (AMIS), a peacekeeping mission stationed at the Haskanita Military Group Site, in the locality of Umm Kadada, North Darfur. It is alleged that 12 soldiers were killed and eight were wounded in the attacks. 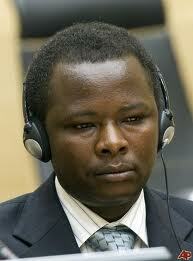 The two accused made their first appearance at the ICC on 17 June 2010, in compliance with a summons to appear. On 7 March 2011, Pre-Trial Chamber I confirmed the charges against them. A trial date had recently been set for 5 May 2014. Proceedings in this case have been slow moving, partly resulting from the shortage of available interpreters to translate the disclosed evidence into Zaghawa, the language of the two accused. The Prosecution has cited numerous practical implications arising from the obligation to disclose to the accused the statements of all Prosecution witnesses in a language which they fully understand and speak. Zaghawa is not a written language and is limited to no more than 5,000 words. The Prosecution submitted that this makes it difficult to translate into Zaghawa certain words and concepts from languages of the Court such as English, French and Arabic.